Happy Monday! 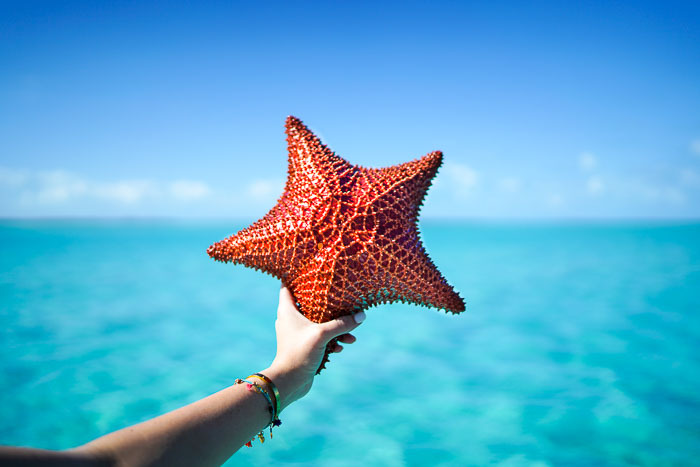 I'm back in the states and ready to share ALL of my adventures in Exuma. Today was our stop to a sand bar in the Exumas and the place ... well, it was simply breathtaking. I hope these photos do it justice!! The photos do a great job of capturing the sandbar but just not enough to really show you how amazing this place was. I don't know how to convey/show it through words but it was one of the coolest places I have ever been. We were pretty much in the middle of the ocean and there was just this huge sand bar that was like a small island. The sand was SO soft and the water was crystal clear. The water was shallow and it kind of felt like you were walking on water. There was nothing in the water either -- no rocks, coral, seaweed, or fish. It was like a pool in the middle of the ocean. 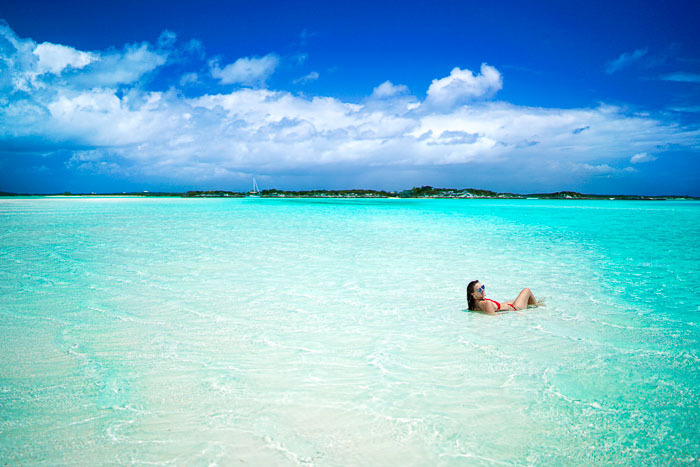 If you ever take a trip to Exuma, be sure to take a boat to find a local sandbar. I don't know where this one was or the name -- sorry -- but it was the same place featured in Pitbull's "Timber" video (random, I know)! Great pics! I've been pinning lots of your beach vacation pictures to recreate on my next beach trip. Bahahah nice, Timber reference ;) Love this photos though! Gorgeous!!! Glad you had such a good time! Okay, these photos are seriously breathtaking and now I desperately want to go visit!! Also, that suit fits you perfectly, glad you decided to try the brand again because you're a BABE!! Amazing pictures, it looks like you had so much fun! I am also obsessed with your scalloped bikini- too cute! This looks fabulous!! I've been wanting that swimsuit for a while, and love how it looks on you!! This place looks amazing! I love all of your travel pictures as well, they're all so beautiful!